How many restaurateurs can seriously claim that they have been working in their business since they were nine years old? Not many. But when you’re the third generation of an Italian eatery family, you enter the business early. 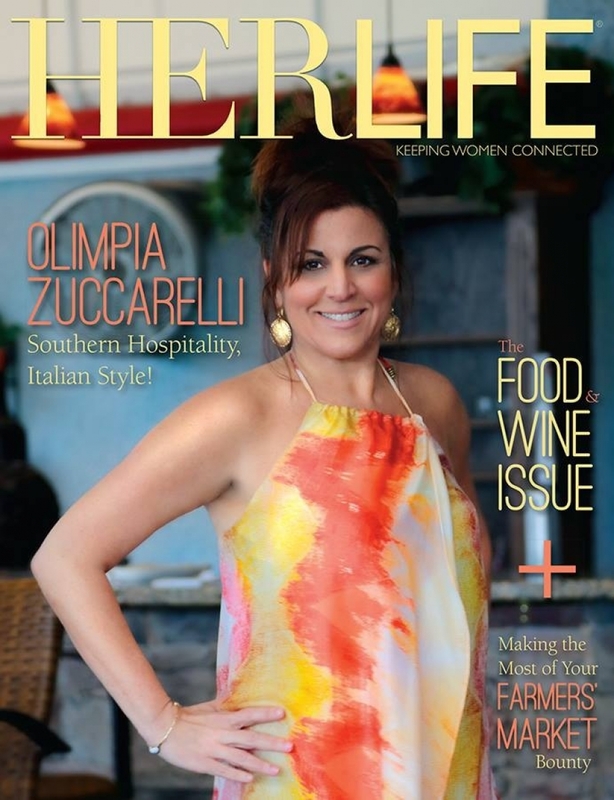 For Olimpia Zuccarelli, as with her parents Ralph and Frances, Zuccarelli’s Italian Kitchen is not just a business or a career. It is her life. Olimpia’s mother, now 70 years old, still spends seven days a week running the restaurant’s kitchen. It is what she’s been doing for the last 32 years. Retirement is not a word in her vocabulary. “The restaurant is our home,” said Olimpia. Olimpia’s father, Ralph, and his brothers emigrated from southern Italy to the United States in 1954. They had worked with their parents, Mario and Olimpia, operating the family deli in Calabria, Italy, near Sicily. When the brothers reached Westchester County, New York, they opened their own Old World-style Italian deli and carried on with the family business in their new home. Olimpia had the privilege of carrying on her grandmother’s name. It was in 1971 that Ralph and his brother took a trip to South Florida. In contrast to New York, authentic Italian food was not easy to find in this area of the country. The warm climate was also appealing for several reasons. Ralph packed up his family and moved them to the Sunshine State and set up shop. All the old family recipes came with him, of course. After about 12 years, the family decided it was time to expand beyond the offerings of the delicatessen and opened the Zuccarelli’s authentic Italian family restaurant in South Florida. Everything they served in the restaurant was made fresh, just the way they cooked for themselves at home. The Italian sausage was, and still is today, made by Olimpia’s father following the old family recipe. The same is true of the mozzarella cheese, the sauces and the pizza dough. They make these things themselves, there at the restaurant; they aren’t delivered from a restaurant supply service. Many hours of preparation are put into every ingredient before it even becomes part of an item on the menu. In spite of the commitment of time and energy that the family business demands, Olimpia and the Zuccarelli family have always felt that it was important to give back to the community and be involved in charitable causes as well. The Muscular Sclerosis Foundation, the Cancer Alliance, the Jewish Guild, the American Heart and American Lung Associations are just some of the charities that the Zuccarellis regularly support. It’s not only the Zuccarelli family members that regular customers recognize and know by name; it’s just as easy to get to know the rest of the employees in the restaurant. Most of them have been working there for ten years or more. Some of them have been working for the Zuccarellis for over 20 years. Such loyal employees are a true testament to the genuine integrity and overall character of the Zuccarelli family members. “I try to lead by example,” said Olimpia. She doesn’t exempt herself from the standards she sets for her employees. “We’re all family,” Olimpia explained. The cleanliness of their kitchen is a matter of pride for Frances, Olimpia’s mother. It should be. Not many restaurants would feel comfortable allowing their clients full visual access to their kitchens. At Zuccarelli’s, they’ll invite you to come on in and see exactly how your food is prepared. In spite of its long history in the community and the many ways that Zuccarelli’s remains true to its years of family tradition, the interior finishes of Zuccarelli’s always look fresh, clean and up-to-date. They are continually working to keep the environment welcoming for their customers. “My mother has a very strong work ethic,” Olimpia said, a trait she has obviously passed on to her daughter. Olimpia felt very privileged to be able to take on the management of the family restaurant. She’s been running the business side of things for 18 years now, allowing her mother to focus mainly on the kitchen, where she is most at home. As the manager, Olimpia travels to Italy once a year to personally select their wines. They offer over 200 labels and Olimpia is always on the lookout for unique tastes to share with their customers. She also takes responsibility for engaging the musicians that provide live music for the enjoyment of their clientele. As all-consuming as the restaurant is in Olimpia’s life, the one thing the Zuccarellis always have time for is family. While running the restaurant, Olimpia was also raising her son, of whom she is extremely proud. Now 22 years old, Michael is enrolled in the police academy, a choice that Olimpia supports. She is fully aware of the big demand that the restaurant puts on her and the ways that it has limited her own social life at times. Part of the success of the family business has been the fact that the family members have always remained personally involved in every aspect of running the business. The restaurant opens at 11:00 a.m. Monday through Saturday, and they are there on site every single day, as well as Sunday evenings when the restaurant opens at 4:00 in the afternoon. When meeting new people outside the restaurant, Olimpia is often asked what type of food her restaurant serves. “I tell them it’s Southern-style cooking,” Olimpia said with a laugh. “Southern Italy!” The cuisine and wines offer a true Old World taste and the Zuccarellis provide Old World hospitality and charm, but you don’t have to travel to Italy, or even to New York, to find truly authentic Italian cooking. You can find it in the southern-most tip of the New World, West Palm Beach, Florida. Buon appetito!